As the second installment of my four-part blog on the places to take your children before they grow up, here I will talk of places in East India- with special reference to Kolkata. 1. Feel the intellect of the human mind down the ages at Sanchi Stupa and Nalanda University remains. Why they will love it: Same as above and also, it gives a sense of where they are coming from, their rich intellectual tradition. Why they will love it: One of the most picturesque toy train rides ever, this train track defines history. Also it is great fun. 3. Count the wheels of the Sun Temple of Konarak, on the way back visit the caves at Udaigiri and Ratnagiri. Why they will love it: The temple itself is a wondrous work of art. Teach them about time with the wheels (they are a type of sun dial). Help them learn the myths. The caves are wonderful and less crowded. Age: Any age, but if they are above 5 years of age, they will remember it better. 4. Watch the Rath Yatra in Puri, or just visit the Jagannath temple when done with lounging at the beaches. Why they will love it: The crowd, the colors, and who does not love rath yatra (In 2013 it is to be held in June). The temple is large and awe inspiring. The beaches are touristy and fun, though a little dirty. Age: If you want to watch from a verandah any age will do, but if you want to join the crowd, a slightly older age of 7 years is advisable. 5. Go crocodile watching in Sunderbans, and watch out for the Royal Bengal Tiger. Why they will love it: You cant really catch the tigers in the areas where you are allowed to visit but it is possible to see crocodiles and dolphins quite easily. Children will love seeing them in their natural habitat. The mangrove forests are delightful and enchanting for the little ones. Why they will love it: You can’t really catch the tigers in the areas where you are allowed to visit but it is possible to see crocodiles and dolphins quite easily. Children will love seeing them in their natural habitat. The mangrove forests are delightful and enchanting for the little ones. Apart from this in the city of Kolkata itself there is much to do with children. Here is a list of 10. 1. Walk the length of The Hooghly Bridge and/or the second Hooghly Bridge (Vidyasagar Setu) to take in the beauty and life of the river Ganges. 2. 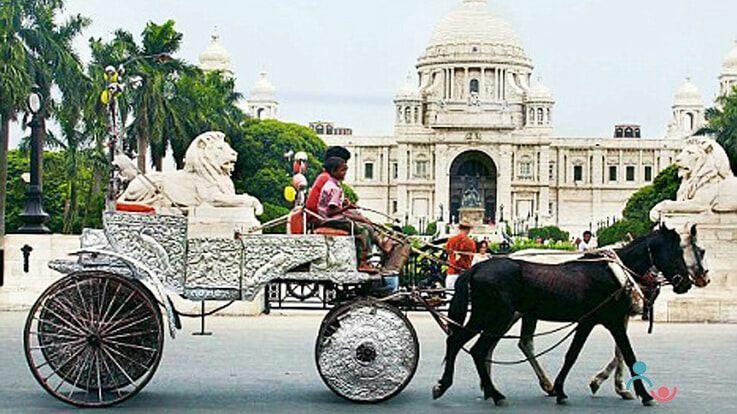 Take a tonga ride at the Victoria Memorial, while having roast channa from the footpath. They will take you around one of the most serene areas of the city- the Red Road and Fort Williams, some of the historic places of the British rule in India. 3. Take some time out at the CESC dancing fountains, close to the Victoria Memorial while having a taste of the street food available aplenty in the area. 4. Take a breather at the Kolkata Maidan. Go for a picnic on the verdant unending greens, let your child play the day away. Go for a horse ride and watch the city go by in its maddening pace. 5. Catch a starry show at the Birla Planetarium. They have show timings according to language, so you have to do some research and reach on time since a show is for an hour. 6. Take the river cruise from Outram Ghat. You can opt for tourist boats which may be slightly expensive, but will take you on a more extensive tour of the region, you could also get a one hour tour at Rs 40 with loud Bollywood music, if that’s your thing, or just negotiate with a local boatman who will do it at a pittance. 7. Take in history and heritage at the Indian Museum, one of the best kept in the country. Be sure to visit the beetles section and also see the dinosaur exhibit. The children will never forget this one. 8. Take in the stories of Ramayana and Mahabharata at the Nehru Childrens Museum. Look at dolls and toys from various countries. 9. Have a day out at the zoo and aquarium, which are side by side. Though the zoo is not in excellent shape, it is still worth a visit in the winter, if you can brave the crowds. 10. Marvel at science wonders and dinosaurs at Science City. Take the ropeway across for fun. The ancient temples are all so scientifically sound. Payal! I'd just like to add up to your comment ..... Ramayana and Mahabharata are epics and most of it is historical facts. 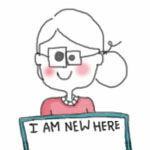 Neetu and Anurima, Im so glad you liked the selection. As Kolkata is my home town I have personally been to these places and they hild a special place in my heart even now. I have started doing these rounds with my daughter and hope she will love these too. Sudhendra, myths and history are two sides of the same coin. I hear you... I should definitely add making them aware of our amazing history and heritage. That is what our country has most to offer. 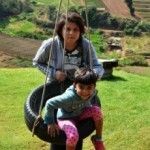 Your blog makes me want to go home now Payal! I can say that I have done most of the things mentioned here barring a few. Will surely try to make up the next time we are there. Thanks Payal. The ongoing poll on Parentune shows that East India does not feature on the preferred holiday destinations for many parents. This blog therefore is very relevant and much needed. Although Kolkata and the bengali culture have always mesmerized me, never thought of it as a holiday destination.. the east is beautiful and there's much to explore.. thanks for the quick reference list. Be a good person before even trying to be a good P..